First, there was Lumia Amber. Then came Lumia Black and Lumia Cyan. 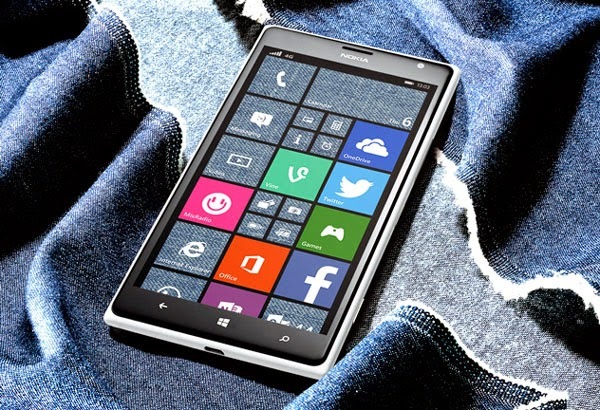 Now Lumia Denim, Microsoft's newest update. The Lumia Denim update gives you new, innovative, premium features, combining the latest from Windows Phone 8.1 Update 1 with exclusive Lumia innovations. Cortana: Your virtual personal assistant's improvements include natural-language scenarios, snooze times for reminders, and the ability to chat with her in your car via car-kit integration. Originally available in the U.S., Cortana will now also be available in China and the UK in "beta" and in "alpha" in Australia, Canada India, France, Italy, Germany and Spain. "Hey Cortana" Voice Activation (enabled by SensorCore)*: Simply say "Hey Cortana" while the Lumia phone is in an idle state and Cortana will be activated. No need to press the microphone button. This feature will be available for Lumia 930, Lumia 1520 and Lumia Icon. Live Folders: On your Start screen, organize your most-needed apps into folders (such as "News" and "Games") so you can access them with one tap. Glance screen: The newly updated Glance Screen will also be able to show fitness and other health-related activity from MSN's Health and Fitness app. Improved IE: Connect and browse even faster with improved downloading speeds on mobile websites. Consumer VPN: This feature provides enhanced safety and security for your smartphone when connected to public, unprotected Wi-Fi networks. Apps Corner: Create a customized Start screen, where only specific apps or games are accessible. This could be particularly useful in the workplace if you're issuing Windows Phones to employees. SMS merge and forwarding: Select individual text messages to either delete them out of a messaging thread, or to copy and past them into a new message in order to forward them. Snooze Times: It's now possible to customize the snooze time within the Alarm app. Store Live Tile (US only): The Store Live Tile displays featured apps and games that are the most popular in the Store, or most relevant for you. The Lumia Denim Update provides features that are exclusive to Lumia, such as the Lumia Camera. The Lumia Camera is only announced for the Lumia 830, Lumia 930, Lumia 1520 and Lumia Icon, due to hardware differences. Lumia Camera - Replacing Nokia Camera, Lumia Camera is faster and more intuitive than before to make the best camera experience, even better. Speed - Pocket to capture speeds are superfast, and it only takes milliseconds going from shot to shot. Moment Capture - A long press of the camera button starts 4K-quality** video recording at 24 FPS. With each frame at 8.3 megapixels, you can save individual frames as high quality still images. Rich Capture - Auto HDR and Dynamic Flash are now welcomed into the already-impressive feature set. Shoot first and adjust the camera settings later for that perfect photo. Improved image processing algorithms - Updated to give you clearer photos, even in lowlight. The owners of the Lumia 830, Lumia 930, Lumia 1520 and Lumia Icon will also get an updated Lumia Camera, delivering images of the highest quality at the fastest speed with only milliseconds between shots. 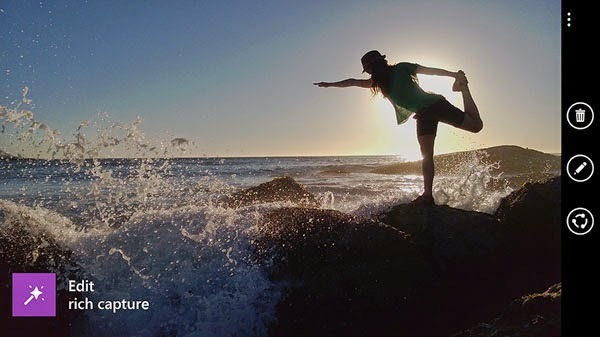 Lumia Camera also comes with great innovations such as Moment Capture and Rich Capture. The Lumia Denim update has started rolling out to a limited number of devices in selected markets and will continue arriving in waves by device. A wider rollout of Lumia Denim to all Lumia smartphones running Windows Phone 8.1 is expected to begin this month following partner testing and approvals. * Available on the Lumia 930, Lumia 1520 and Lumia Icon. ** Due to hardware differences, Lumia 830 shoots Moment Capture in Full HD, not 4K, and with reduced 2-megapixel per frame quality.